The right melody can send your spirit soaring; the right Flyer can send excited music-lovers soaring toward your event. 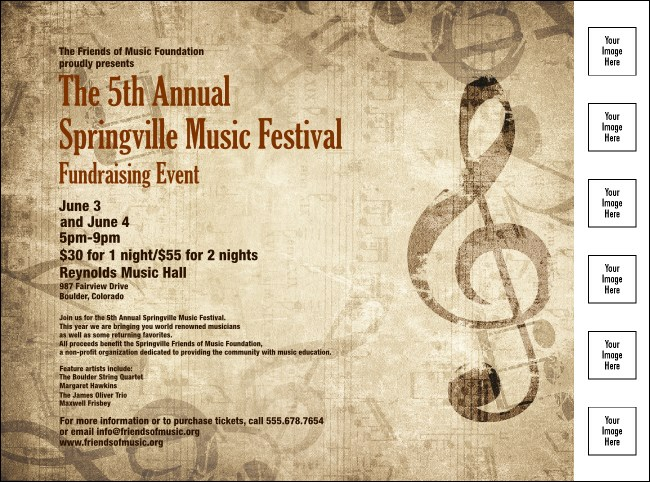 For the proper inspiration, choose the Music Festival Flyer with a distressed treble clef against a sheet music background. Fill in the easy template below and we'll send them your way! TicketRiver.com.au lets you search hundreds of great designs on-line!